Saturday Night Live is no stranger to ratings stunts. Bringing Tina Fey back to play Sarah Palin was an inspired choice that led to big ratings during the 2008 Presidential election. Now, SNL has tapped Alec Baldwin to play Donald Trump through the end of the Presidential election, and it’s already paying off. Via Deadline, the season premiere of SNL drew a 5,8 household rating, which makes it the highest rated season premiere of the show since 2008. 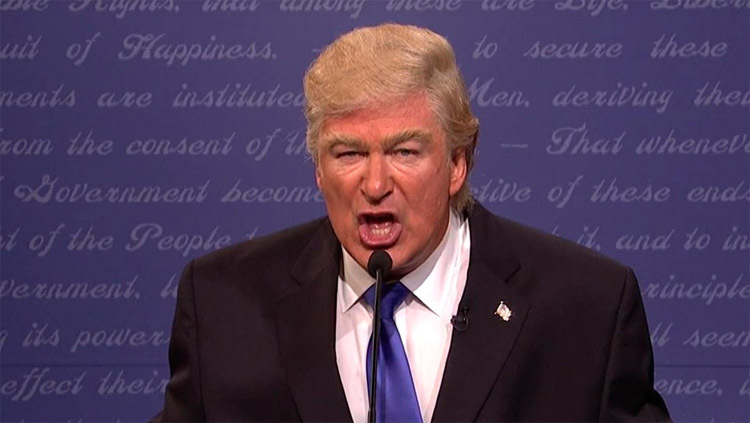 Baldwin made his debut as Trump in the cold open, opposite Kate McKinnon’s Hilary Clinton, and he had a pretty dead-on impression of the Republican candidate for President. Clinton didn’t escape from the skit unscathed, as McKinnon and the SNL writers had a lot of fun pointing out the scripted nature of Clinton’s responses and demeanor. But Trump got the worst of it, including some quotes that he actually said during the debate. It’s a great skit, but I think we can all live without the image of Trump kissing Sean Hannity. Host Margot Robbie played Trump’s daughter, Ivanka, later in the show opposite Larry David’s Bernie Sanders and other related figures in a Political Family Feud skit which also captured the insanity of this election season. 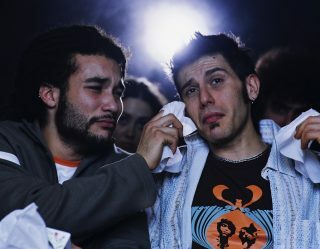 The test for SNL will be if the show can continue to ride the Presidential election to big ratings without running out of steam. As amusing as these skits were, we still can’t wait for this mess to be over with. What did you think of the season premiere of SNL? Let us know in the comment section below!